Need To Sell Your SC House? We Buy Houses in SC. We Buy House Companies SC! Agility Investments is a We Buy House Company SC that buys, remodels, and sells houses. 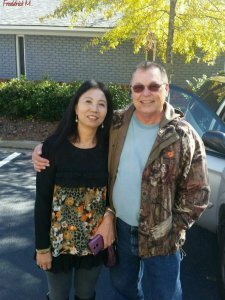 We buy houses in West Columbia SC, in AS-IS condition, for cash and, once our offer is accepted, we can close quickly as we do not have to wait for a bank to come through with financing. 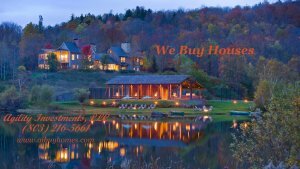 We don’t want to list your home, we BUY real estate properties, both residential houses or apartments in West Columbia. If you need to sell FAST without any hassle – we buy AS IS, meaning no repairs or contingencies and you don’t pay any commission (we are not Real Estate Agents or Brokers, we are local cash buyers) and in most cases you won’t pay any of the closing costs. It’s that simple. There are many benefits in working with us over trying to sell your house the traditional way. We can help, including… avoiding real estate foreclosure in West Columbia, divorce, relocating, inherited an unwanted property, own a vacant house, upside down in your mortgage, behind on payments, owe liens, downsized and can’t sell your house, needs repairs you can’t pay for, fire damaged, bad rental tenants, making payments on 2 houses and much more. Basically, if you have a property and need to sell it… we’d like to make you a fair cash offer and close on it when you’re ready. If you have a commercial property you’re looking to sell in SC, in particular the West Columbia area, email us directly through our contact page or call us at (803) 216-5661.